Tinie Tempah, I have to admit, is someone I have a lot of respect for, considering. Besides the deliberate misspelling of his name and a penchant for non-prescription thick frame glasses, he has, when not on wax, come across as a humble dude. Even in accepting his reward last night at the Brit Awards he was insistent that Labrinth, the producer for Pass Out, was present. Hip hop, or current day hip hop (more widely known as 'urban' as the boundaries gradually blend together into a 'hip pop' genre), tends to demand all rappers do is brag about what they have. Like advances on recording contracts that they'll never earn back because they keep spending so ridiculously(!). Don't get me wrong, I don't agree with everything Tempah says in his records, but what I can respect, like when I interviewed Bashy for Markus the Sadist is that he has ambitions. So being into advertising (why do you think I try to cover so many ads on AllStreetDance?) it was pretty cool to see that Mr Tempah was giving away those priceless spectacles to his fans in the shorts between the ad breaks. Tinie Tempah won British Breakthrough act and Best British Single, which isn't bad considering his appearance at the Brits was heralded as what was probably the equivalent of The King's Speech at the BAFTA. Even Pass Out was the underpinning song to the Streetdance 3D soundtrack and probably the most recognisable intro bars of 2010. 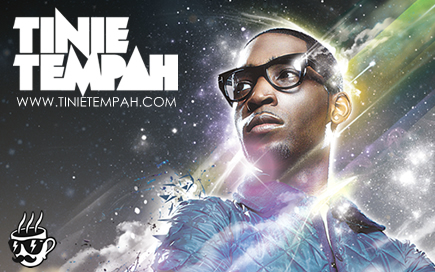 So well done to Tinie Tempah. We salute you. And I'm sure your specs will be in good new fans as you and other Brit Award nominees give away their priceless possessions too.